• What Color Was Tekhelet? 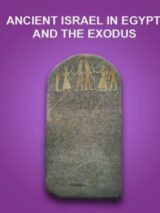 BAS Library Members: Read “Archaeological Views: The Great Tekhelet Debate—Blue or Purple?” by Baruch and Judy Taubes Sterman as it appeared in the September/October 2013 issue of Biblical Archaeology Review. It is a very interesting study to study Tyre and this industry of the murex snail. How many needed for an ounce for example and while one is on the way through it don’t forget Lydia, the seller of purple in the New Testement. This is thought to be cloth dyed with this dye hence she brought great wealth to those she worked for. people don’t seem to like their money threatened. While it is true that we seem unable to determine the exact color it is also true that thr history of purple being a royal color comes from this snail dye, whatever color it was. It likely was a blue and I have seen speculation thatt it was mixed with red from something else to gain different shades. we may find in the end thst the red came from a different part of the snail. e.g. the shell or a different gland. Happy hunting. 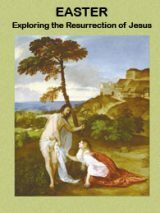 the Hebrews themselves did not touch the snails. The city of zTyre was world famous for providing that particular dye. You get about one drop of dye per snail by the way so it was provided great wealth. Tyre is one and probably the only one place where the.murex was known to be and they kept their techniques secret. but in answer to the comment, Tyre was not Jewish so unless the Hebrews ate their clothes they were not unclean nor expised to the dead carcass. The pavement from the throne of YHWH is SKY blue and it is from His throne that He commanded the sons of Israel to wear the tzit. The Hebrew word TEKHELET is used in direct comparison to the SKY and to SAPPHIRES, both of which tend to a shade of indigo rather than teal/turquoise. Furthermore, there is another Hebrew word, AGRAMAN that is specifically used for PURPLE, so I have no idea why it would be suggested TEKHELET is somehow purple, as they are delineated as two separate colors about 2 dozen times in the Torah text. Please compare this to Exodus 28:4-5 as the sash and mitre are ALSO “tekhelet”, so the only shade that IMHO matches both the SKY and sapphires is a darker indigo shade of blue, not teal and not purple. And unfortunately I have not seen much discussion overall on this matter from these sources, but that of course doesn’t mean there isn’t. I have personally seen these flowers bloom in Israel. so in sum I think the majority of evidence points in a fairly strong direction of dark sky blue as the best candidate for TEKHELET. Hope this helps! Bees honey has been found to not only be pollen, but enzymes from the bee to help as a catalyst for the process. But honey, pollen and bee spit is Kosher. The Rabbis, in olden days, before microscopes, always said that the honey was not really tainted by the bee so it was kosher and today I can get straight answer as to why they are so teched in the headto wash leafy greens to make sure the insects are out lest they eat one, and they also have bagged Kosher Spinach and the like, yet here the honey has a aspect of the bee in its constitution and all is well. A couple of things that puzzle me. 1. We have the term “over-harvesting” to describe the collection of species of flora and fauna to the extent that they can no longer maintain a population balance to equal to that which is being taken away. With the Murex or like genus, it would seem that something in great demand as this could not have avoided extinction or become so hard to find, especially as it was an easy catch, dwelling among shallow reefs and rocks close to shore. By all accounts it seems the Murex population where it would have been obtainable, would have been devastated. If you want ot mass produce Murex today then you better start setting aside protected reefs and such to allow a populaiton boom and then afterwards a limit, like on Abalone, on how many snails and what age you may take. Good Luck. I thinkn Indigo and other plants are the way to go. 2. Poster Tom has a problem, a reasonable one I believe, with the uncleanliness of the snail itself, which actually is by habit a predator, eating other creatures to survive. The species of Non Kosher animals mentioned in the Torah reference many of them as living off the carrion of other animals and so are considered disgusting and non kosher. This is my problem with Honey as well. The Rabbis used to argue that the honey was a natural product of the Bee and had nothing to do with its biological makeup. Maybe because they never saw anything other then the usual filterable items in the honey to make them think that there was something of the bee itself inherent in the honey, though its contact with the bee itself in any form is a question of degrees if you wish to maintain the mirage that honey magically appears out of the nectar and without help from the insect. But now we know that the the non kosher Bee does contribute enzymes to help the transformation from pollen to Honey. Yet they seem to have no problem with this still. There is no question that the Honey is tainted by the unclean secretions of the bees stomach. I favor the commentators who define a land flowing with milk and honey to be referring to date honey, made by a process which in short,thru heat and compression gives you a runoff of sweet date honey, and its available especially if you look in the Vegan stores. Its delicious.The blind eye to bee spit in the Nectar is just so much self delusion or a hear no evil see no evil on order not to have to give up honey. There was quite a large amount of blue used in Egypt before and during the time associated with Moses so the source of those colors for painting and dyeing was unlikely from a mollusk. And the biblical/historical/theological/social meanings of the color blue is quite a different topic from the source of the material. Is it possible that the tradition/learning that was passed orally was to avoid eating a snail because they could cause paralysis? When a person is without the Lord. He/she are unclean, dirty, detestable, and unjust. When they came repented to Our Lord, He crushed them from inside out. Then, they become a new person in the spiritual sense. Our Lord extracts from them Gold, which most valuable and precious metal. If there is anything impossible for G-d? I think you are all a little (or a lot) crazy. Krzysztof, your claim concerning “names”, as you call them, is demonstrably false. The ruler lists of Genesis have been verified. Moses and his family were Horites (Horim) and the sacred blue of the Horites was indeed a sky blue. It appears on the murals of ancient Egyptian monuments. This was dye from the Nile Hexaplex trunculus. The Tyrian method for producing purple dye from Hexaplex trunculus has not been successfully reproduced because the purple hue quickly degrades, resulting in blue only. The Tyrians most certainly added something to stabilize the purple hue, probably a plant substance. All names from before 8th century are fictions, literary devices- says JHWE- use your brain, divine one (Genessis 1:27); also Moses! Scientists say that we only use about 10% of our brain. Einstein perhaps used 15%. So, for us average ten-percenters, it is difficult for us to believe LOTS of different things, simply because the so called “ten-percenters” have not got the necessary brain power to arrive at the truth of the matter. I have trouble seeing how anyone could argue for an extramundane presence, perhaps even out of the universe, which acts upon human history. If you equate god and universe–or better Buddhist emptiness–you are not concerned with a personality and thus don’t have to so spectacularly fly in the face of reason. That said, if we have a universe that is interconnected and we don’t have do go outside of it, then how in the world could such a universe be in the slightest way ever intervene in our lives–it IS us, all, and it not above it. Such a universe couldn’t possibly care about the exact color of a religious’s groups so-called sacred things, could it? Such biblical literalism as I just have read about the type of blue, the prohibition of the murex as dirty and unclean–the whole argument seems utter silly and made of the stuff that brings all religious groups to periodically indulge in ethnic cleansing of their so-called impure, heretical, or pagan neighbors. Please folks. A little compassion and common sense please. I have trouble believing that an unclean animal was (and apparently still is) used to obtain a dye for manufacturing one of Yahweh’s Commandments (tsitsith). Leviticus Chapter 11 clearly outlines what creatures are clean and which are unclean. Snails are among the unclean. One could have a pet snail while it is still alive, but the unclean creatures’ carcasses are not to be touched, they are abhorrent and detestable. As I understand it, the snails are crushed (killed), producing carcasses in the process of squeezing out a drop of blue dye to be collected. Isn’t this dye (part of the guts?) essentially part of the carcass? 11 and they shall be abhorrent to you; you may not eat of their flesh, and their carcasses you shall detest. 12 ‘Whatever in the water does not have fins and scales is abhorrent to you. Using and wearing part of a snails carcass is almost as bad as making a Bible cover out of pig skin, and saying that it doesn’t matter (Bible covers that are Berkshire Leather are described by Ingram Publishing as “High-quality pigskin…”, the same as well for their “Genuine Leather” Bible covers, they are made from the swine’s skin). I am reminded of the abominable act of Antiochus IV Epiphanes slaughtering a pig on the Altar in the Temple at Jerusalem, thereby defiling the whole place! Detestable! Please convince me that I am wrong about the dye. Meanwhile, I will continue to wear tsitsiths that are made with regular blue dyed strings purchased from the local stores. The Phoenicians kept secret their source of the Romans ‘royal purple’ which they sold in trade.The Phoenicians, neighbors of the Israelis, also spoke Hebrew. They were the foremost traders of the ancient world, going all the way to Britain for Tin, and also to Africa. Carthhage was a colony. Israelites under pressure produced the sapphire blue dye. Sapphires are produce by earth with aluminum under fire. The tekhelet represents the name of God in the midst of his word that has been proven under fire.